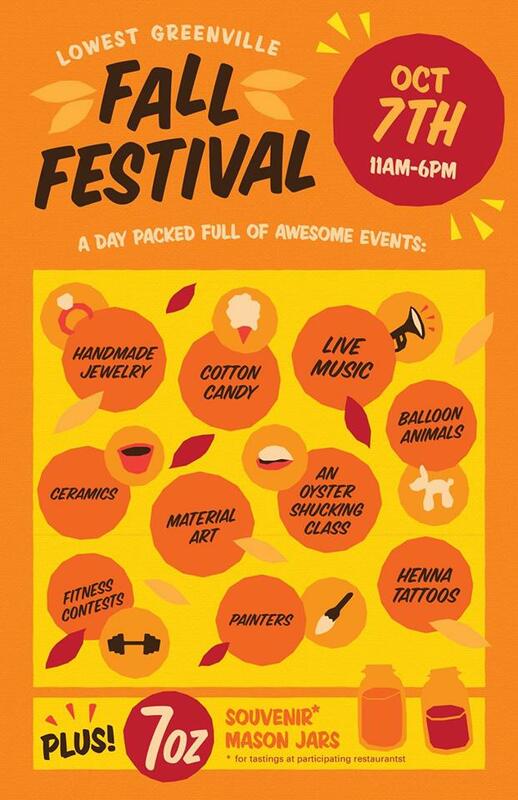 Toasted Coffee + Kitchen is excited to participate in the first annual Lowest Greenville Fall Festival, hosted by Lowest Greenville Collective! Join us for live performances by local musicians, buy some vinyl from Hand Drawn Pressing, support local artists, & #GetTOASTED! Art sale – local artists selling originals & prints!